School's Out and the Girls Are Ready to Rock! 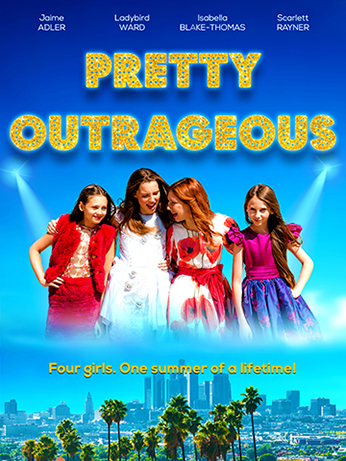 LOS ANGELES - Aug. 3, 2018 - PRLog -- Pretty Outrageous, a new comedy from writer/director Elizabeth Blake-Thomas, is now available to rent or own on Amazon, FandangoNOW and Cable On Demand. Featuring Isabella Blake-Thomas (ABC's Once Upon a Time; Nick.com's Game Shakers), Cameron Bright (Twilight), and Gabe Eggerling (Amazon's The Kicks) the film also stars Dan Richardson, who is known for Disney's The Lodge and as an animal spokesperson for the Born Free Foundation. 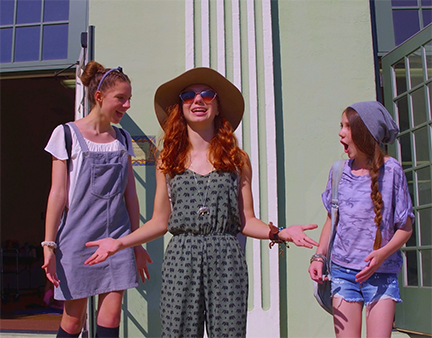 Filmed on location in Hermosa Beach, California, Pretty Outrageous tells the story of three talented teens (Scarlett Rayner, Ladybird Ward and Blake-Thomas) who enter a local competition to be the next big Girl Band. Enlisting a fourth band member, played by Jaime Adler (Anastasia; Damned) the girls are thwarted at every turn by bad luck, bad timing, bad neighbors and bad boyfriends, but get unexpected help from their crazy uncle Wayne (Richardson) and a moody but secretly silver-voiced sister (Georgia Hair). 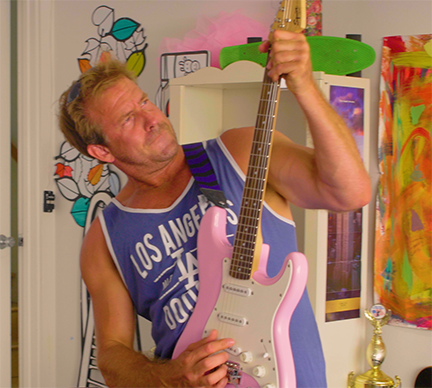 Also appearing in the film are William Romeo (Henry Danger; American Gladiators), Jake Brennan (Netflix's Richie Rich) and Olivia Sanabia (Amazon's Just Add Magic). Director Elizabeth Blake-Thomas's other features include The League of Legend Keepers, Maybe I'm Fine and the upcoming Running on Empty. Says Blake-Thomas, "I like making films my teenage daughter can watch and enjoy, films built on the premise that anything is possible. In Pretty Outrageous, the message is that, even when everything appears to be against you, you can make it happen." 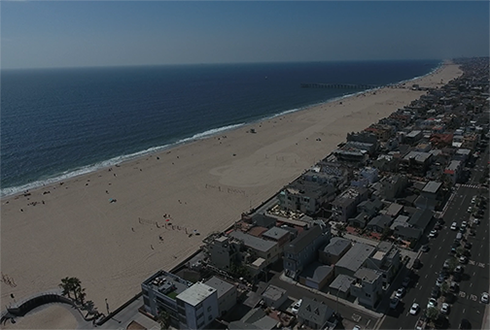 Leomark Studios is a U.S. production company, distributor and international sales agent with a catalog of more than 200 titles in distribution worldwide. To learn more, contact info@leomarkstudios.com.